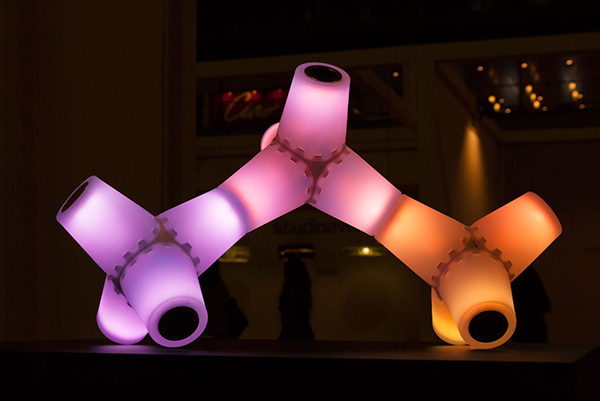 Overview: “ledwork” is a series of highly tangible, autonomous lights that respond to touch and movement. 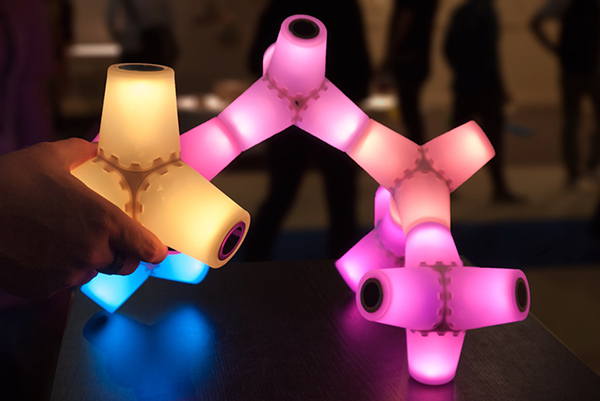 Connected together with magnets, they form a swarm of light in which new patterns emerge as the lights talk to each other and work in an ever-changing colorful harmony. 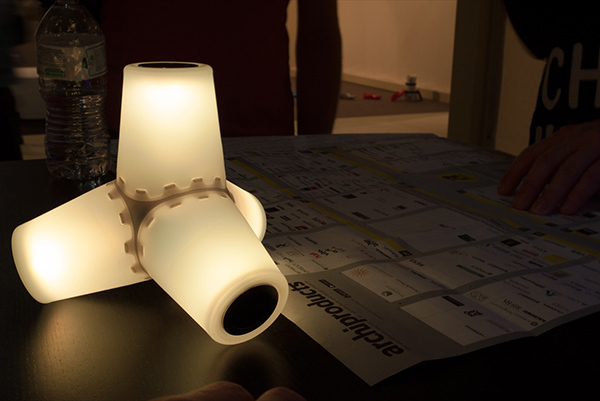 This invites the user to observe, explore and construct new physical configurations while deepening the connection between object and user.